Patients emerging from cancer surgery want to know, "Did you get it all?" Now scientists are developing a pen-like probe to help surgeons better tell when it's safe to stop cutting or if stray tumour cells still lurk. The device is highly experimental, but laboratory tests show it uses molecular fingerprints to distinguish between cancerous cells and healthy ones far faster than today's technology, Texas researchers reported. 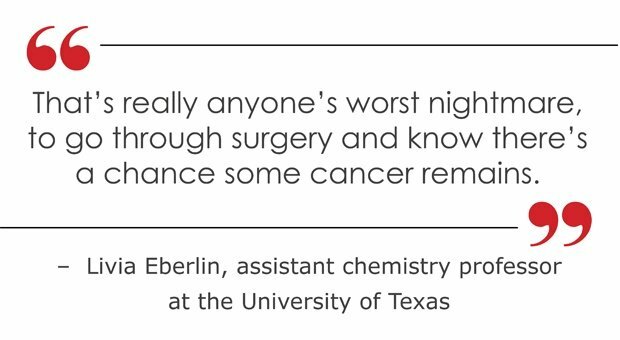 "That's really anyone's worst nightmare, to go through surgery and know there's a chance" some cancer remains, said assistant chemistry professor Livia Eberlin of the University of Texas at Austin, who is leading the work. "By providing real-time molecular information, we could really improve accuracy." When surgeons think they've removed all of a tumour, they often also remove a thin layer of surrounding tissue, called the margin, to be sure no cancer cells linger at the edge and increase the risk of relapse. The problem: It takes time, for pathologists to process the tissue and examine it under the microscope. For certain especially tricky tumours, surgeons sometimes pause for a half-hour to more than an hour, the patient still under anaesthesia, to await the results. For breast cancer and certain other types, often the answer doesn't arrive until a few days after surgery, raising the possibility of repeat operations. In contrast, "our device is able to give an immediate read-out in under a minute," said UT research engineer Noah Giese. 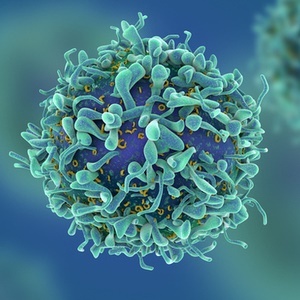 Cells produce unique sets of small molecules that perform various functions – and thus also act as fingerprints. Researchers place the pen-like device directly onto tissue, press a foot pedal to switch it on, and a tiny amount of water emerges to gently pull molecules from the cells in that spot. In lab tests of samples that had been taken from 253 patients with lung, ovary, thyroid or breast tumours, the so-called "MasSpec Pen" was more than 96% accurate in diagnosing cancer, researchers reported in the journal Science Translational Medicine. They also successfully used the pen during a handful of operations on mice. "It's intriguing technology," said Dr Nita Ahuja, chief of surgical oncology at Johns Hopkins Medicine, who wasn't involved in the work. Surgeons need new tools to catch residual cancer in the operating room, and developing molecular techniques to try is a hot new field, Ahuja said. While she stressed that the handheld pen needs lots more research to prove if it really works, she said it might be easier to use than some other candidates under development. A recent article however expresses concern about the rising costs of cancer treatment, partly due to expenditures on non-pharmacologic treatments and diagnostic testing. These new therapies are exciting, but there will be many challenges ahead with regard to the ability to pay for such innovations. If it pans out, doctors would have to place the pen on multiple spots to check an entire wound. Researchers noted it doesn't appear to harm tissue, meaning pathologists still could double-check with standard techniques when human testing begins.